Heather Askwith has lived in the North East ever since she moved for university. 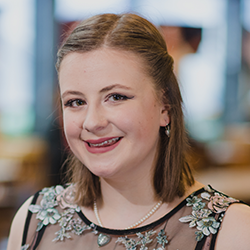 Whilst studying for her undergraduate degree in Media Studies at Northumbria, Heather was an active member of the Writers’ Society. Heather has also managed to complete her MA in Creative Writing at Northumbria, during which she completed a full-length YA manuscript.